It is always an absolute delight to find a fairy tale I’ve never heard of before. While the story of Fearless Ivan is well-known in Russia, it is almost unknown here in the United States. That needs to change, because this story deserves a place among the greats. 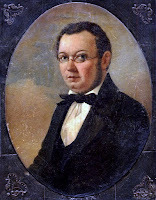 Pyotr Pavlovich Yershov was something of a Russian Hans Christian Andersen, writing his own original fairy tales instead of collecting and compiling preexisting folk tales. 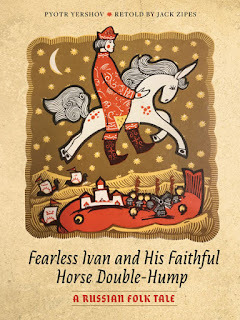 He wrote The Little Humpbacked Horse in 1834 as a poem and when it was published as Fearless Ivan And His Faithful Horse Double-Hump, it became an instant classic. At the time, the inclusion of a villainous tsar was considered subversive, but despite (or perhaps because) the authorities tried to ban the book, it was wildly successful. 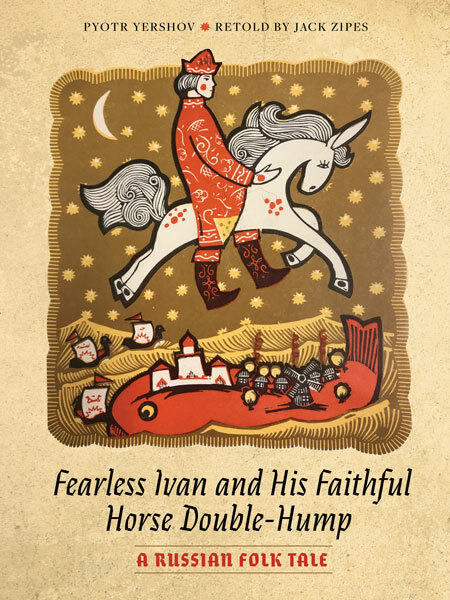 Readers familiar with Russian culture will quickly pick up on two iconic elements of the nation’s folklore that appear in this book: A hero named Ivan and a firebird. Ivan is the Russian Everyman. Westerners might call him Jack. Firebirds appear repeatedly in Russian folklore as objects of quests or benevolent demigods. They sometimes symbolize Russia itself. Our hero’s chief attributes are his foolishness and his love of sleeping (I can relate). Ivan is the youngest of three sons, and his father is a farmer. One day, something starts destroying the crops. The older brothers guard the field on successive nights, but chicken out and lie about it. Ivan doesn’t give into his fear and manages to catch the crop-destroyer. It’s a magical mystery mare who can fly. He grabs her by the tail and goes on an adventure. Before disappearing forever, she rewards him with a pair of gorgeous stallions and a goofy-looking talking horse with two humps and giant ears. The next morning, Ivan’s brothers find the stallions and steal them, but the weird little horse (the titular Double-Hump), tells Ivan what happened. Ivan catches up to his brothers on the road to the city. When he spots a firebird, he picks up one of its feathers, even though Double-Hump warns that it will lead to trouble. Ivan sells the stallions to the tsar for far less than they’re worth, and winds up with a job in the tsar’s stables because the stallions won’t let anyone else touch them. Being an unreasonable sort of person, once the tsar learns about Ivan’s firebird feather, he gives Ivan a few days to find him a firebird...or else. After saying, “I told you so,” Double-Hump explains exactly how to do it. One firebird later, the tsar now sends Ivan to kidnap the Heavenly Princess (the daughter of the moon) or else be skinned alive. Double-Hump also explains how to do this too, and luckily, the one thing Ivan is good at is following directions (well, except for that one time with the feather). 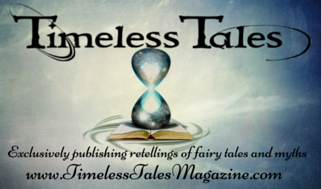 One kidnapped demigod later, the tsar wants to marry the princess. The princess wants to put him through a test involving a cauldron of boiling water, a cauldron of boiling milk, and a cauldron of freezing water. The tsar is scared to do this himself, and makes Ivan do it first. Fortunately, Double-Hump helps out and Ivan springs out of the boiling cauldron looking gorgeous and with perfect hair. Seeing this, the tsar leaps into the cauldrons and promptly gets boiled to death. Ivan marries the princess and they inherit the tsar’s kingdom for some reason. I’m pretty sure Double-Hump makes all the decisions for that kingdom now. This book is a slim little thing and no two illustrations share the same style. Each piece of art is by a different Russian artist, all originally printed on postcards. You might think the lack of continuity between the styles would be jarring, but I found it fascinating. 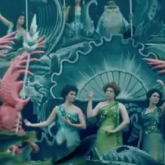 It really reflects the evolution of a fairy tale’s shape that happen over the years. Think about Little Red Riding Hood. Sometimes everybody dies, but other times everybody lives except the wolf. It’s really neat to see so many different interpretations of the characters in this story. No matter what the illustration, though, Double-Hump is the most adorable creature you’ve ever seen. This is definitely a book that bridges the gap between children and adults. With all the pictures and a relatively short length, it could easily be read aloud to the youngest set. Adult fans of folklore will appreciate the touch of the venerable fairy tale scholar Jack Zipes. I personally adored the character of Double-Hump. Ivan is a sweet fool, but he would be dead by the end of part one without Double-Hump. Every idiot hero in a fairy tale needs a wise advisor to guide them. It’s even better when the advice-giver is an adorable talking animal. I would give this horse so many sugar lumps (or whatever his favorite treat is) and then ask him for relationship advice. For more information, visit the book's page on the University of Minnesota Press' website HERE. NOTE: A complimentary copy of this book was provided to the reviewer in exchange for a fair and honest review. Just dropped in to comment that there is a ballet based on this story! 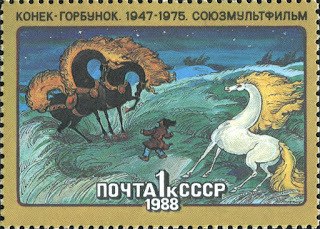 "The Little Hump-backed Horse" with music by Shchedrin. Really! I had no idea. I love ballet and am most familiar with the great classics: Sleeping Beauty, Swan Lake, Nutcracker, etc. "I’m pretty sure Double-Hump makes all the decisions for that kingdom now" So now I am thinking Ivan was a pawn in Double Humps plans to rule the world! Your description of this story reminds me of similar ones that start out with someone's crops disappearing, and then the sons try to figure out why but only the youngest is able to. Offhand I can think of "The Golden Bird" (Grimm), "The Gold-Bearded Man" (Crimson Fairy Book), "The Nine-Pea Hens and the Golden Apples" (Violet Fairy Book). These types of stories often involve an animal helping out the hero, who struggles to follow directions. I think the patterns found in fairy tales are fascinating, and within the patterns is rich variety.